Our Rainbow Lorikeet webcam is one of the most active. Birds can often be seen preening, snuggling, playing, or bathing! Pandemonium Aviaries is dedicated to preventing the extinction of targeted avian species through conservation and education. 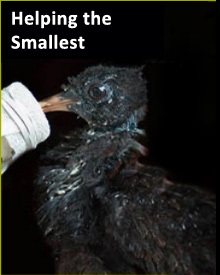 Our 501(c)(3) non-profit is saving important species like the Victoria Crowned pigeon, the modern day Dodo.